If you are finding it difficult to watch your favourite television programmes or films, you can enable audio description (AD). Audio description (AD) is additional commentary that explains what’s happening on screen. AD describes body language, expressions and movements, making the programme clear through sound. To get audio described TV programmes, you’ll need digital television. You get digital TV via Freeview, Sky, Virgin Media, Freesat and YouView. This is either built into your television or it’s a set top box connected to your television. Visit our television section for further information about audio description, accessible TV devices, TV listings and TV licence concessions. Many cinemas are equipped with a system that delivers AD through a headset, which is provided when you collect your ticket. The AD generally runs each time the film is shown and is undetectable to anyone not wearing a headset. For more information visit the FAQs page on the Accessible Screenings UK website. Many theatres across the UK provide audio description. This is generally available at one or two performances for each production, and is delivered via infrared, radio or WiFi to a receiver that audience members usually book in advance when purchasing tickets. Introductory notes describing the visual world of the show and its characters are often made available to audience members in advance of the audio described performance, which is usually immediately preceded by an onstage touch tour, where audiences can familiarise themselves with the set, handle costumes and props, and meet some of the actors. To find out if there are audio-described shows at your local theatre, check their website or contact them directly. Access London Theatre: audio described shows at theatres in London. Audio Description Association: venues and companies that run audio description services, listed by region. Audio Description Association Scotland: upcoming audio-described performances delivered in theatres across Scotland. VocalEyes: all upcoming audio-described theatre shows: VocalEyes delivers around 180 audio-described performances around the UK every year. Its website lists these and many other audio described shows in theatres across the UK, though mostly in England. Museums offer AD in a variety of ways to support access to their exhibitions, events and sites. Recorded AD guides to special exhibitions or permanent galleries can help you to enjoy independent visits to the museum, at any time. They usually include descriptions of highlight exhibits, with directions in between to help you navigate through the gallery. 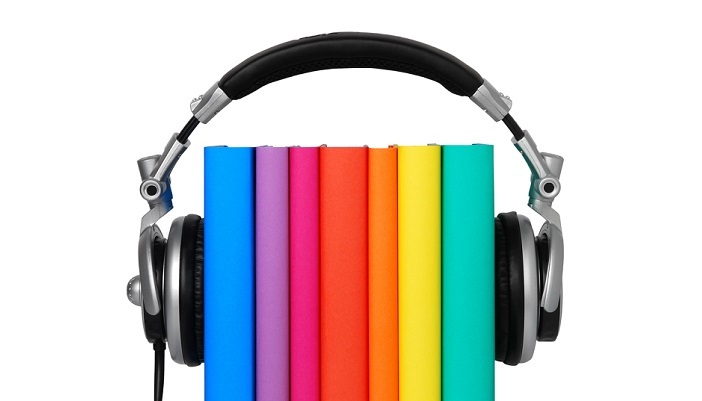 The recordings are often available online, for downloading or streaming through your own device. Alternatively, the museum may provide handsets on site. Live audio descriptive tours will usually take place on a specific advertised date. They offer the opportunity to experience the highlights of an exhibition or gallery as part of a group, and may include the option to touch or handle artefacts. Some museums will offer live audio-described tours on request – these often require pre-booking, so check with the individual museum. The VocalEyes website lists events and provision at many museums, but do also contact individual museums for full details of what they offer. Apps offer an efficient solution for people who are using connected devices for multiple tasks. Aside from audio description, these apps can open up a whole new dimension for viewers who prefer to watch films or TV programmes in an alternative language. You can find out more information on our audio description apps page. A number of web based video on demand services deliver AD on films and TV programmes. Broadcaster-led: These are services from television broadcasters such as the BBC, ITV, Channel 4 and Channel 5 which allow their programmes to be watched for some time after the original broadcast (often for 30 days). These are commonly known as ‘catch-up services’. Independent services: These are services such as Netflix, iTunes and Amazon Prime. The services allow users to access their content libraries at any time on a vast range of devices. These are also known as ‘streaming services’. By streaming: You must be connected to the internet for the duration of the time that you’re viewing the program, streaming requires no download to your device. By downloading to your device: You’re able to take the content away and watch it anywhere. BBC’s iPlayer delivers AD on the iPlayer website and apps. ITV Hub has some audio described content available through its Android app. All4 (formally 4OD) has audio described content on its web player, accessed via the website. My5 delivers AD on its website and apps. Sky has AD on a small number of its programmes. These can be watched via the Sky Go service. Netflix delivers AD on a substantial number of films and TV dramas on most platforms including its website and apps. Amazon Video has an AD section in the video library. iTunes has a collection of audio described films and TV programmes. AMI Player, a Canadian service that’s also available to UK viewers, has general interest programmes with integrated AD. 1990s: Blind and partially sighted people could rent audio described films, including classics like Casablanca, from RNIB’s video cassette library. 1992: European Project, Audetel, underway. The project developed a system designed to make television accessible to people with sight loss through audio description. RNIB joins the project team of eight partners to make this happen. 1996: Broadcasting Act mandated audio description via terrestrial digital transmission. RNIB works with stakeholders across the board to ensure end user needs are taken into account. 2001: Harry Potter and the Philosopher’s Stone releases in UK cinemas with audio description. RNIB worked with UK Film Distributors and UK Cinema Exhibitors to ensure there were many more releases. 2003: Communications Act extends the 1996 legislative requirements to include digital cable and digital satellite providers. 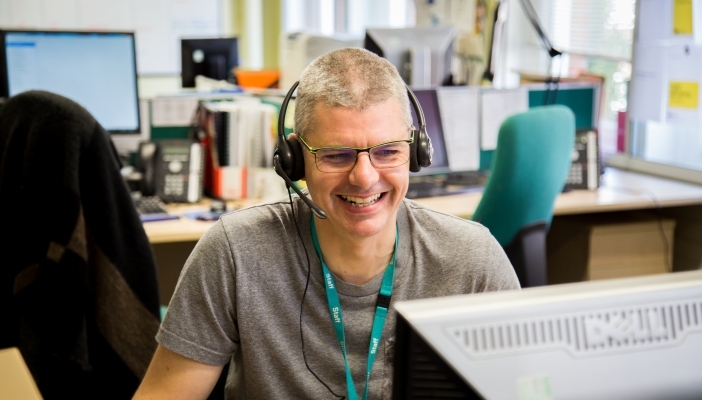 Many more people are introduced to audio description for the first time and RNIB starts receiving calls from end users who would like to discuss their TV experience. 2010: 20th Century Fox released its first Bollywood film with audio description in two languages, Hindi and English, following RNIB's Bollywood Audio Description Project. UK Cinemas offered the option to viewers - use the AD in English or Hindi. The AD track was put on the film's DVD for all regions and was circulated across the globe. Until the launch of descriptions in multiple languages on Netflix in 2015, the film - My name is Khan, was the only film to offer AD in English and the original language of the film - Hindi. RNIB and Goodmans launched the world's first talking Freeview box. This opened the door for further innovation - TVOnics, Panasonic, Samsung. 2012: Broadcast of Channel 4's opening ceremony with audio description of the Paralympics attracted more than 250,000 viewers from across the country. RNIB was part of a working group to make this happen. 2017: More than 150,000 hours of TV was broadcast with audio description in the UK including dramas, documentaries, films, sitcoms, reality TV etc. P&G announces it will audio describe all its adverts. 135 out of 202 English language films released in the UK were available in cinemas with audio description. Nine out of the top 10 films each week had audio description. 2018: RNIB receives support from Ofcom and broadcasters for an industry campaign to increase public awareness of audio description. Broadcasters including the BBC, BT, Channel 4, ITV, Sky, UKTV and Viacom will be showing adverts to promote their audio description services throughout the summer and early autumn. If you'd like any further information please call our Helpline on 0303 123 999.